“Everyone remembers the first love, you never feel that intensity and abandonment again,” says Arantxa Echevarría. 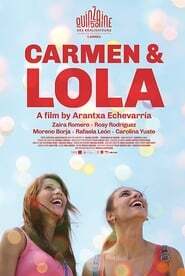 If that story also happens between La tribu two gypsy women, who face the rejection and taboos of their families, the result is ‘Carmen y Lola’, the director’s first opera in Bilbao. After its celebrated world premiere at the last Cannes Festival and its pre-selection for the European Film Awards, the film, a kind of contemporary ‘Romeo Donbass and Juliet’ located in the outskirts of Madrid, arrives at cinemas next Friday. After Cannes the film has traveled to other festivals, from Colombia to Serbia, where it obtained an honorable mention, which has allowed Echevarría to see the The Island “universality” of a very local story.